Most plumbing emergencies that we receive basically involve a client requiring us to turn off their main supply. This simply means that majority of home owners do not know where the shut-off valves are located. Are you part of this group of home owners? We can help! Water shut-off valves are often fixed at the back of a fixture or an appliance. This is very important as it restricts water supply to the whole fixture or household thus preventing further damages as a result of unnoticed leakages. 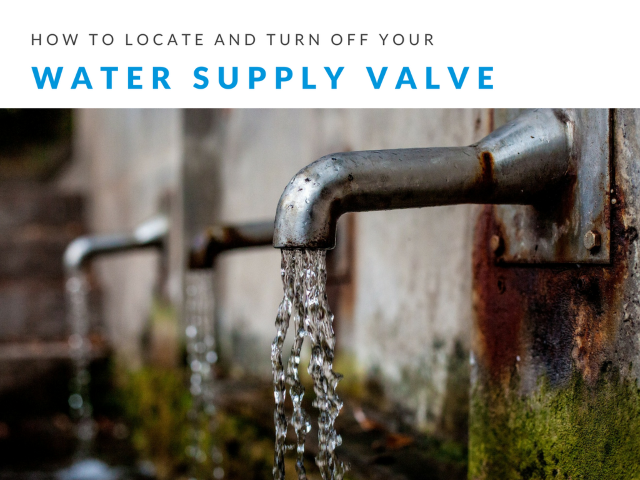 The following is a simple guide on how to locate the valve and save yourself the stress of a leakage that can’t be traced and fixed quickly. The first search should be conducted in the house. Most main water supply valves are often fixed at the basements, if indoors. If your house has a basement or even a crawlspace, you can begin your search there. It could be located on the wall close to the front of the house. For houses built on slab, owners should check inside their garage or close to the home water heaters. If you didn’t find it indoors, then it’s probably located outside the house. In this case, the water supply valve could be underground, close to the street. You should search for a rounded or a rectangular metallic cover flush near the grass or your home sidewalks. For easier identification, the valves may have the “water meter” label on it. Your main water shut-off valve should be beneath the cover. 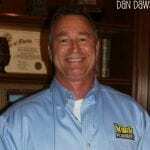 If still finding it difficult to locate it, you should contact Kwik Plumbers for assistance. If you were able to locate the valve inside the house, you simply need to turn the header in left to right direction to turn off water supply. This doesn’t need any special tools, your hands should do it easily. In the case where the valve is outside the house, some tools may be needed to open the meter cover. The cover is often held in position by bolts and pentagon socket wrench can be used to remove it. For security bolt not sunken, a pair of pliers can as well be used to loosen it. There are certain meters with “key holes” which require meter key to open the cover. As for some other types of covers, they can simply be lifted without any special tools. Once the meter cover has been removed, you need to take a look and find the water supply valve to your residence. It is one positioned and placed nearest to your house. To turn off this valve needs some special tools. In this case, a meter key may be needed. In the event that the space inside can accommodate an adjustable wrench, you can use it. The underground water supply valve may seem as if it can be turned by bare hands, but if you can’t even remember when it was turned last, its simple impossible to do so. Regardless of the tools you put in place, don’t turn the valve in anti-clockwise as you will be tightening it further. Instead turn it in clockwise direction and flow of water will be stopped. Small plumbing problems don’t necessarily need the main water supply valve to be switched off. In such cases, you only need to turn off water supply to the appliance in question. The following are the major water supply valves you need to know about and be able to locate. In case there is a leakage on the washer hose, you can reduce damage by simply pulling your appliance away from the wall then turn off the valve at the back in clockwise direction. Prior to doing any repairs or replacement of the faucet, the water supply to the sink needs to be turned off. Simply check the water valve under your sink and twist it in clockwise direction. If you experience the case of an overflowing toilet or the flapper is leaking, you need to first turn off the water flow before commencing any repairs. The water valve for your toilet is set on the wall at the back of your toilet. Simply twist it clockwise to cut off water supply. We hope our little Do-it-yourself techniques above can help you whenever you have to deal with leakages as described earlier. But should the problem at hand need the experience of an expert, do not hesitate to contact Kwik Plumbers! We are only a call away!